Welcome to Backyardfarmer, helping you Keep warm with quality Seasoned Hardwood English Logs. Sourced from sustainable English woodlands. 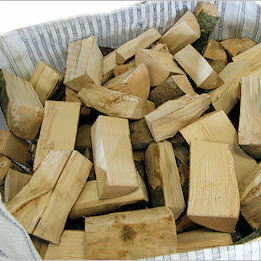 Backyard farmer, supply seasoned hardwood logs which are suitable for log burning stoves, wood burners, and not forgetting your BBQ’s, the chimineas and fire pits to keep you warm outside. Our seasoned hardwood logs are available in single nets or by the pallets in giant 1M3 bulk bags. Plus free delivery available on kindlings sticks with our Hardwood English Logs. Whatever the season you can have a perfect supply of seasoned hardwood logs, ready for burning anytime. Our seasoned hardwood English logs are barn dried and stored in large ventilated bags, which will guarantee you a constant supply of consistently good quality dry and seasoned hardwood logs. We think we can offer the best price in the UK for the best seasoned hardwood logs with unbeatable quality and delivery included in the price (no hidden extras). Not all suppliers can offer such high quality seasoned hardwood logs.